Written by Charlie Kaufman — who along with Gondry and Pierre Bismuth, won an Academy Award for Best Writing, Original Screenplay –– the film follows the labyrinthine path of Joel Barish (Jim Carrey), a lovelorn soul grappling with the complexity of love. When he discovers that his ex-girlfriend, Clementine (Kate Winslet), has erased him from her memories with the help of Dr. Howard Mierzwiak (Tom Wilkinson) of Lacuna Inc., he decides to expunge her as well. But just as Lacuna’s team (played by Mark Ruffalo, Elijah Wood, and Kirsten Dunst) goes to work scrubbing his memory, Joel has a change of heart, escaping deep into his own subconscious to try to rescue his memories of Clementine. In the 13 years since it was released, Eternal Sunshine of the Spotless Mind has grown even more rich and rewarding. The science it took as fiction has started to come true. Its insights into desire and memory have inspired lovers and philosophers alike. And its position as one of the great films of the 21st century has grown more certain. In 2009, the A. V. Club put it at the top of their list of the best films of the aughts, noting, “It’s the rare film that shows us who we are now and who we’re likely, for better or worse, forever to be.” Writers Guild of America ranked Charlie Kaufman’s script 24th in their list of the “Greatest Screenplays” of all time, just above The Wizard of Oz. From Paste Magazine to the BBC to Time Out NY, film pundits have placed it among the top ten films of the first decade of the 21st century. As Focus Features prepares to celebrate its own 15th Anniversary, we find ourselves revisiting some of the titles that define us as a studio and continue to move us. Eternal Sunshine of the Spotless Mind, which became a classic by rewriting all the rules, is one worthy of celebration this and every year. To those in the know, the film’s title makes clear both its literary pedigree and complex take on love. The phrase, “Eternal Sunshine of the Spotless Mind,” comes from Alexander Pope’s 1717 poem “Eloisa to Abelard,” the sad lament of a women, now a nun, remembering her impossible love for Abelard many years before. “While most movies reduce love to a greeting card sentiment,” notes The New York Times’ critic A. O. Scott, “Eternal Sunshine of the Spotless Mind treats it as a subject for extended philosophical inquiry.” The film itself has borne the scrutiny of such deep examination, from a Nietzschean interpretation to a full casebook of essays as part of Routledge’s “Philosophers on Film” series. Yet, despite its ability to incite the most fascinating inquiries into the nature of love, identity, and memory, the story is deeply rooted in real life and emotion, as the director himself discovered during the making of the film. In many ways, Eternal Sunshine not only fulfills Tonegawa’s prediction, but turns it inside out, revealing how we already engage in such behavior. In 2015, Screencrush put Eternal Sunshine at the very top of their list of the Best Sci-Fi Movies of the Past 25 Years. 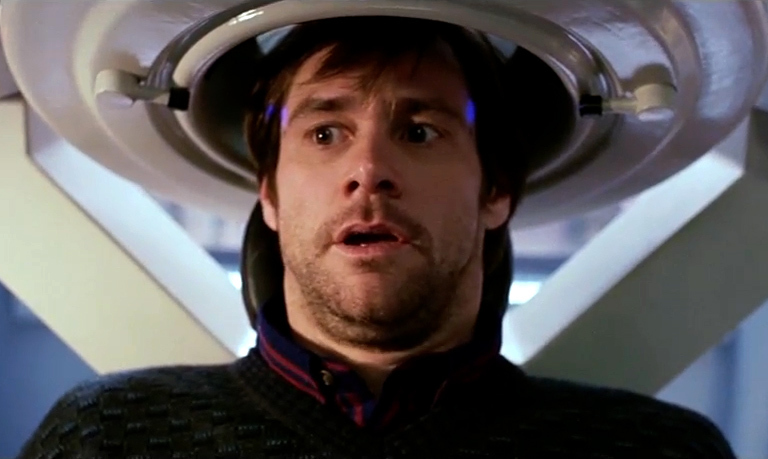 “Science fiction has long explored what it means to be human, but Eternal Sunshine zeros in on that idea, asking what it means to be a human in love, in pain, and in confusion,” Screencrush explains. Unlike much science fiction that conjures up futuristic and faraway worlds to illustrate what is alien, Eternal Sunshine uses science to explore what is familiar and unavoidable. “Kaufman isn’t making commentary on trying to use technology to fix our problems, he’s simply pointing out that we already try to do this in real life and it almost never works,” notes Ryan Britt on Tor.com. 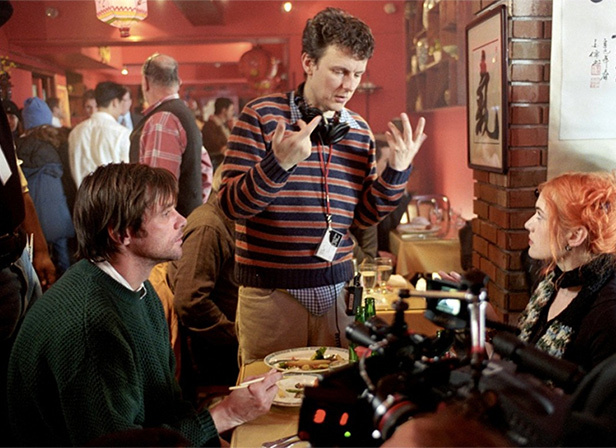 In addition to keeping the production budget down, Gondry’s on-set illusions imbue the film with a warm, homemade feel throughout. For many of the childhood dream sequences, Gondry teamed with production designer Dan Leigh––who’d previously assisted actual stage magicians––to construct sets showcasing forced perspective and exaggerated scale. For people who knew Kate Winslet only as the demur beauty of such period pieces as Sense & Sensibility and Titanic, her Clementine was a bit of shock. Spontaneous and funny, with a hairstyle that changed from blue to orange to red, Winslet was a revelation. Reading the script, Winslet told herself, “there’s no way I’m not going to do this, because I knew that it would be a totally new experience and very challenging.” Her gamble more than paid off when she was nominated for an Academy Award for Best Actress for her exuberant performance. Watch Eternal Sunshine of the Spotless Mind on iTunes.